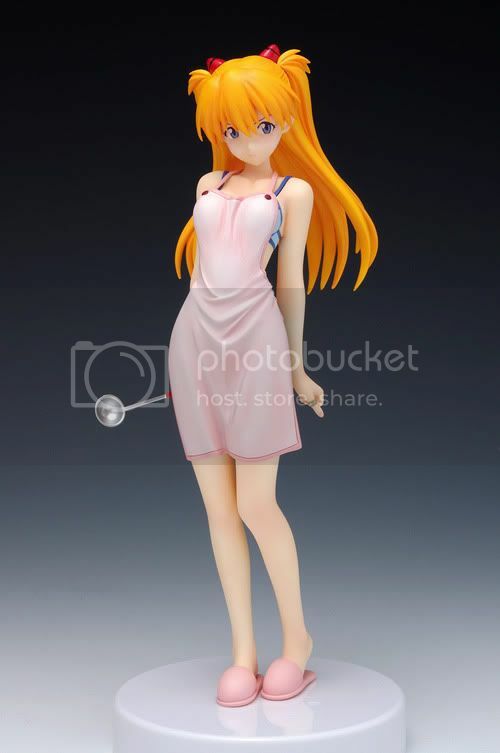 Wave Corporation is going to release the Shikinami Asuka Langley Apron version 1/10 PVC figure from the official Evangelion movie Evangelion 2.0: You can (not) Advance. 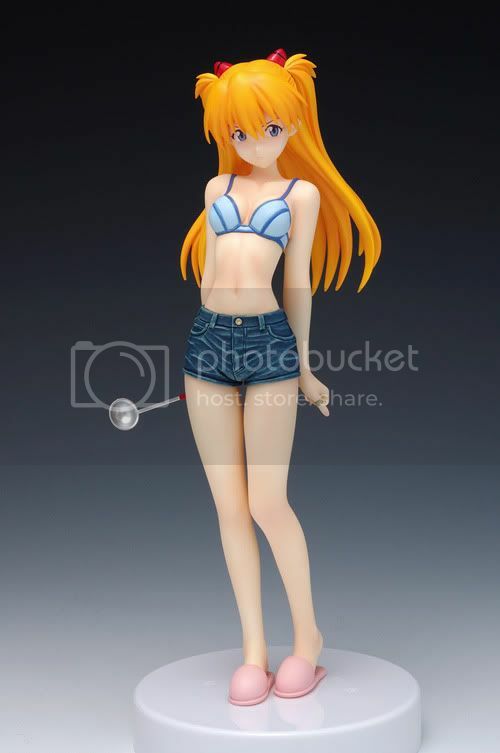 This figure is approximately 160mm in height and will be released in January 2011 around 4,725 yen. 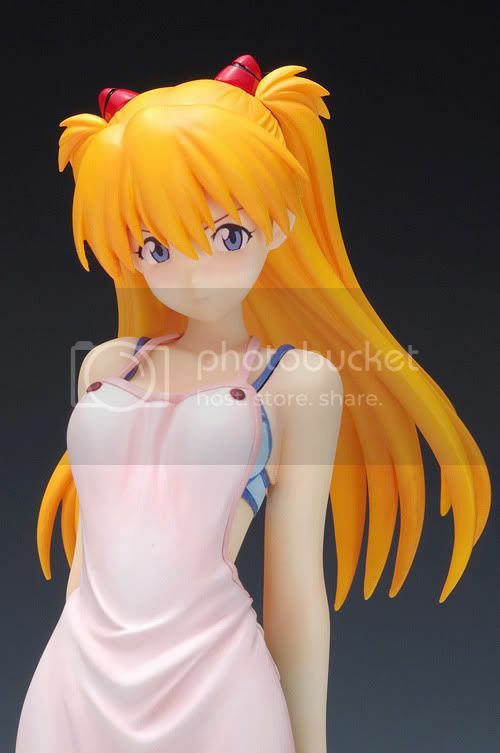 Despite that this Asuka is only 1/10 in scale, she is the best Asuka with Apron so far (especially in my opinion). 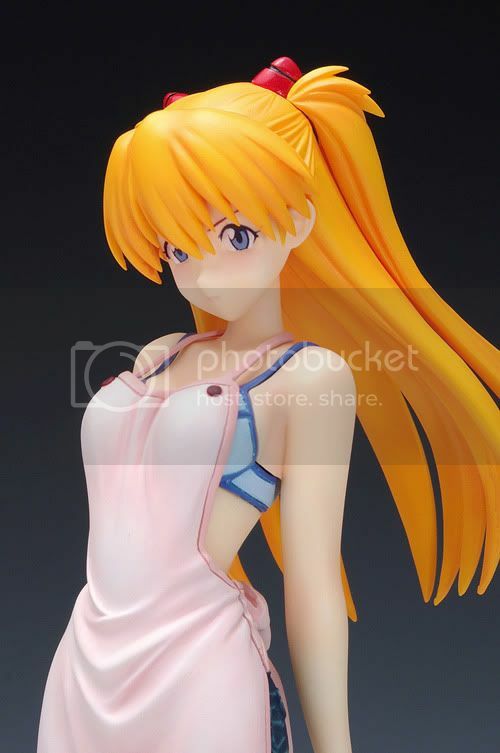 I like her pose, her expression, and also like the way Wave put the color tone on her. She is HOT! 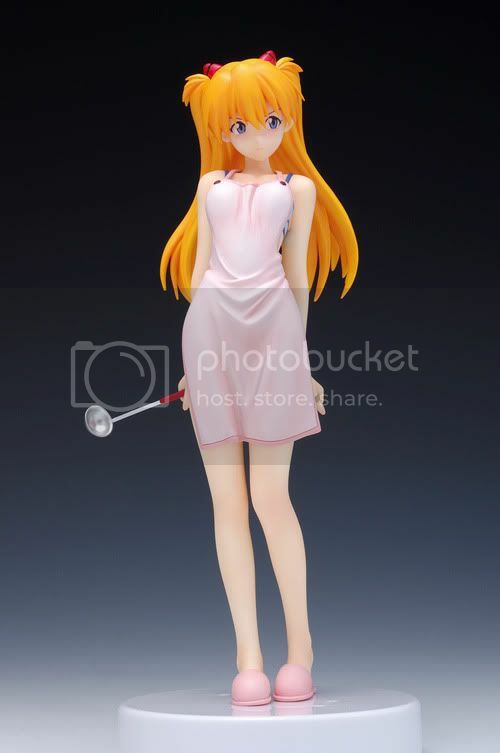 While there aren't many Asuka figures with Apron on the market, I think this Wave's Apron version of Asuka will be a nice addition to my Eva line up.